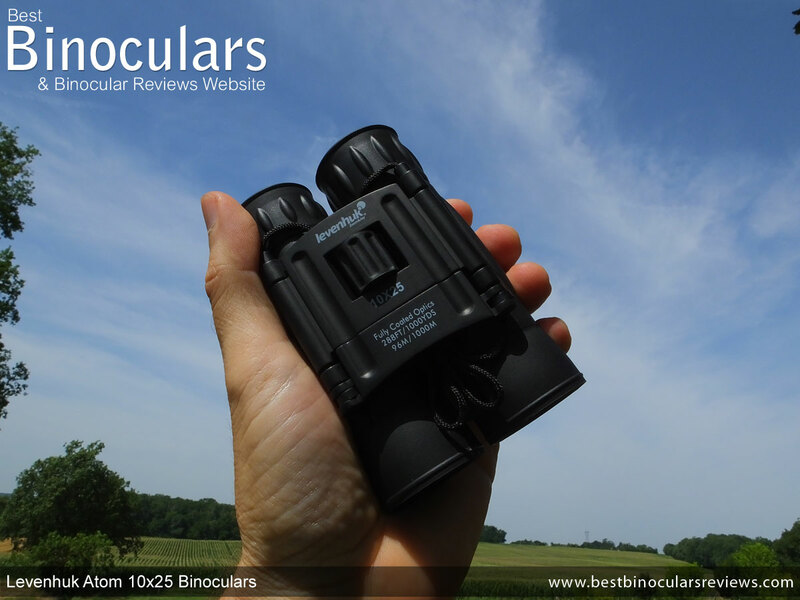 It is not that often that I use very cheap binoculars and it is even less often that I review them on BBR as this site's main focus is on mid to high level optics. 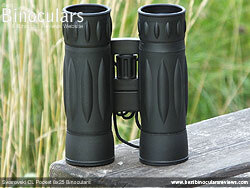 However that is not to say I'm blinkered and would never consider using them. I also fully realize and understand that there is a market for low cost bins and thus it is just as important for the many people out there who are on a super tight budget to understand exactly what they are getting. For me it is also very interesting to get a fresh perspective on the differences that you get and indeed perhaps see between bins that may be separated in price by factors of 10 or more. 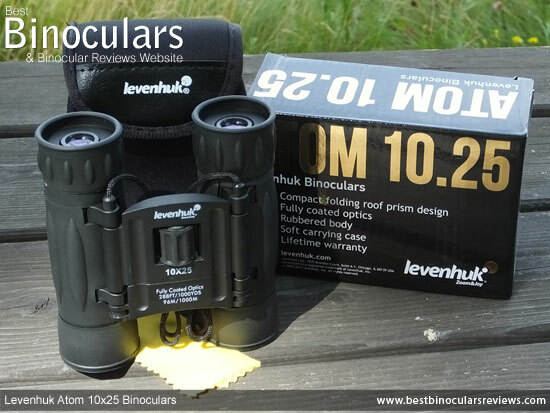 For me, we are off to a great start with the Levenhuk Atom 10x25 binoculars as as they sport my favorite double hinge body design for a compact. What this means is that unlike most bins that have a single hinge in between the barrels, these have a couple of hinges with a wide bridge in between them. 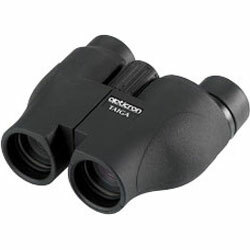 I go into detail as to why this is my preferred design for a compact in the section on their dimensions and IPD settings below, but to summarize, this design allows for much more flexibility when adjusting the distances between the eyecups and when folded makes a much smaller shape for a true pocket binocular. Many modern bins are completely covered with a rubber that not only protects the optics inside, but can also offer a higher level of grip, is less reflective and has a noise dampening effect which for some uses is an advantage. With the Levenhuk Atom, the top bridge is left exposed which for the most part is not really an issue as the barrels are covered in a black rubber which are the areas that you will mostly be holding onto and which also contains the optics that need the most protection. As Levenhuk do not mention anything in regards to them being sealed, I will assume that they are neither water or fog proof. Even so I am sure they would survive expose to a little light rain, but remember an instrument that is completely sealed will also bar any dust and other particles from entering. Whilst this is a shame, at this price point it is not at all uncommon. If you need a waterproof ad fogproof binocular, you will most likely have to spend a little more. Levenhuk don't go into specifics by mentioning exactly what the substructure of the barrels under the rubber coating is made from, but from the looks of it, it seems to be metallic which I was pleasantly surprised to discover. This metal, along with the central bridge, I think is aluminium. Whilst one of the lighter metals, it is not as lightweight as the cheaper to make polycarbonate frames used on most inexpensive bins, but it is more indestructible, hard-wearing and looks as well as feels far more expensive and substantial than many of the plastic frames used on bins in this class. The 11mm of eye-relief that you get with the 10x25 Atom is not really a major problem if you don't wear eyeglasses when binning. However if you do then this relatively small amount will most likely not be enough to allow you to see the full field of view. As I don't use glasses, I tested the eye-relief using my sunglasses and as expected I could only make out a small portion of the view in the center and there was a large amount blackened out on the edges. 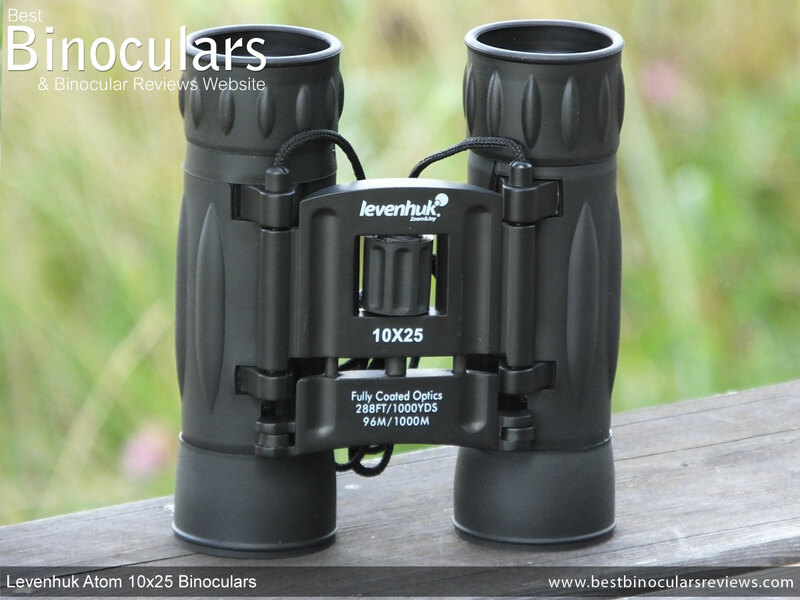 This shallow eye-relief is worsened by the fact that these Levenhuk Atom binoculars have very simple rubber eyecups that due to their shallowness cannot be kept folded down as they keep popping back up again. 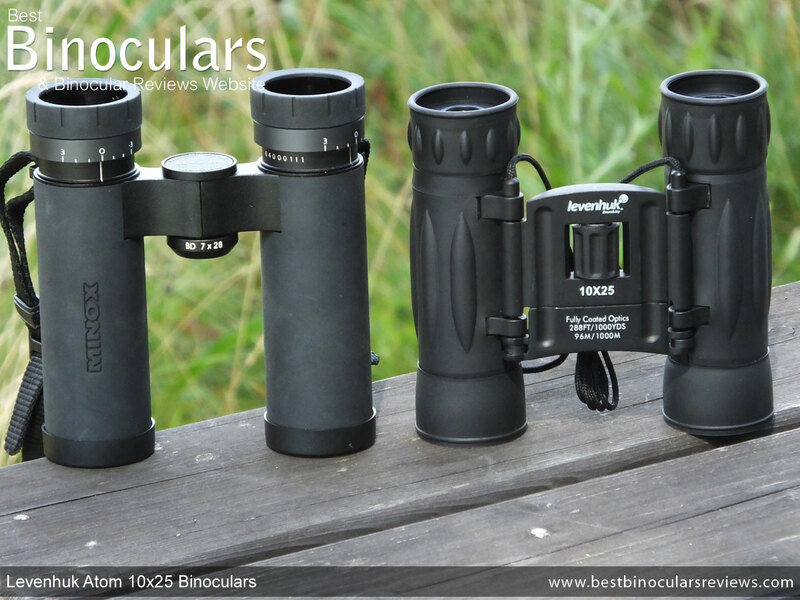 To be fair to Levenhuk, many compact binoculars have a much lower amount of eye-relief than full sized bins, but the better ones out there have at least 15mm and some as much as 18mm and come with twist-up eyecups. For example the Pentax 9x28 DCF LV's have 18mm, but you have to remember at about $200 / £180 these cost almost 10x more. 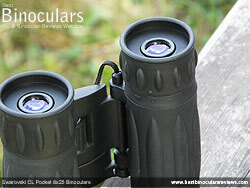 If you do not wear glasses, I thought that the relatively simple eyecups worked pretty well and were fairly comfortable. Part of this is down to the softness of the rubber used and I measured them to have a diameter of 35mm, which for a compact is reasonably large. Located in the centre of the bridge is the small (15mm diameter) focus wheel, which I found to turn perfectly on the Atom without any sticking points or free play. To take the focus to the opposite ends takes 1¾ rotations (630°) of the wheel which is a little more than what I would call average and thus good for fine adjustments, but a little more turning is required to make large changes. One of the main drawbacks to the ultra compact twin hinge bins like these is that they most often have a much smaller focus wheel than that with which you normally see on a standard single pivot compact. I don't want to over play this too much as for the most part this is really not an issue at all as it is still perfectly placed making it both easy to reach and adjust. However when wearing well padded winter gloves, a very small wheel like this is not ideal and so may be something to consider should you often go out in extremely cold weather. An interesting aspect of the focusing mechanism on these Levenhuk Atom binoculars is that rather than it being completely enclosed within the barrels as with most bins, some of it is exposed and on the exterior for you to see: You will notice that as you turn the wheel, three pins push part of the bridge forward or backwards, which in turn moves the external objective lenses forwards and backwards within the barrels. On most bins, these lenses remain static and it is another set of lenses within the barrels that you cannot easily see that are moved. 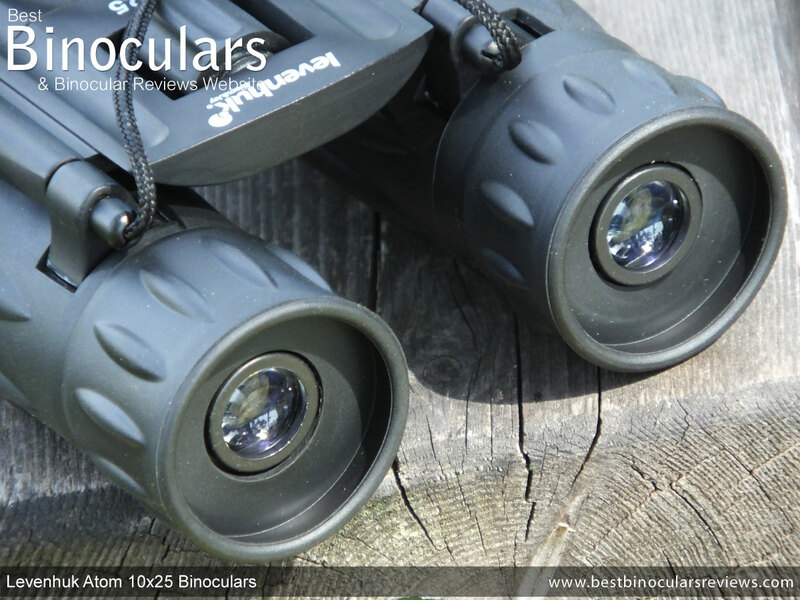 Adjusting the left and right eyepieces to make allowances for any difference in the vision of your eyes is achieved by turning the right eyepiece and is an easy, yet important part of calibrating your optics when you first get them. On most bins you have a separate ring that you turn and not the whole eyepiece. This makes it less easy to accidently move your setting, but other than that the actual adjustments worked well enough on the Atom and you get ±3 degrees which is ok, but about a degree less than what I most commonly see. 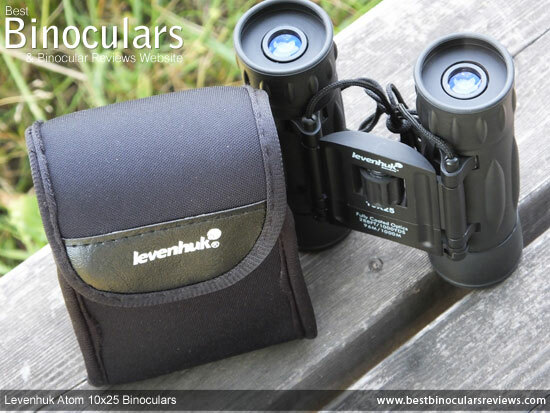 The stated dimensions of the Levenhuk Atom 10x25 binoculars are 11cm x 7.8cm x 5cm (4.3x3.1x2in), which are achieved when the binocular is folded up and in it's smallest shape. By fully opening them up, their width does from 7.8cm to 10.9cm. 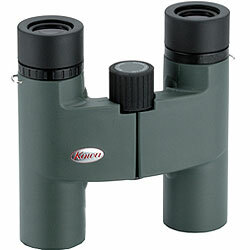 Of course as you open and close the bin it also changes the distance between the eyecups and this is one of the big advantages of the double pivoted body on this Levenhuk 10x25 Atom because it gives you a far wider range when it comes to adjusting the space between the eyecups to equal that of your eyes. 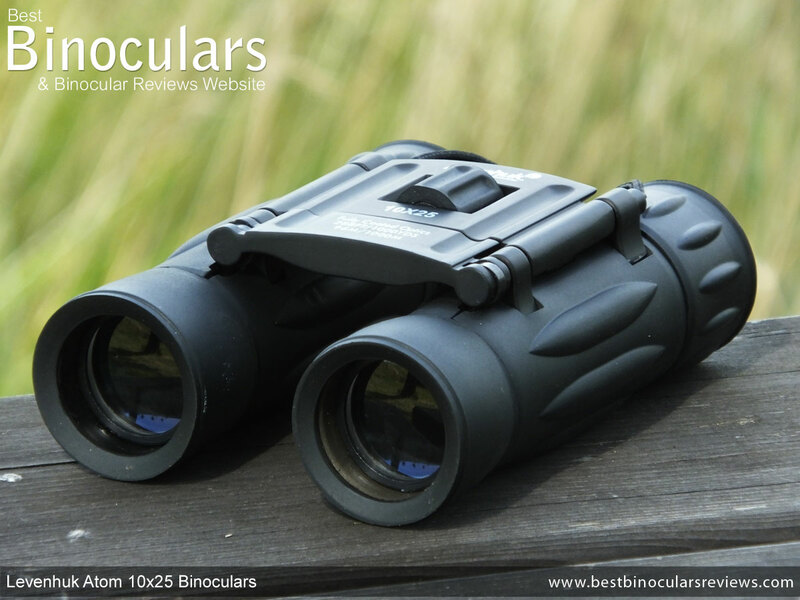 Whilst most binoculars are designed to have an IPD range that enables them to fit most people, compacts can sometimes be a problem for those who have eyes that are especially set far apart. Levenhuk advertise the IPD range on these as being 5.8cm to 7.2cm, which is good but I feel they are doing themselves a slight injustice as I measured it as being from 4.5cm to 8cm which is very wide and means that these should adapt to almost everyone, including young children. 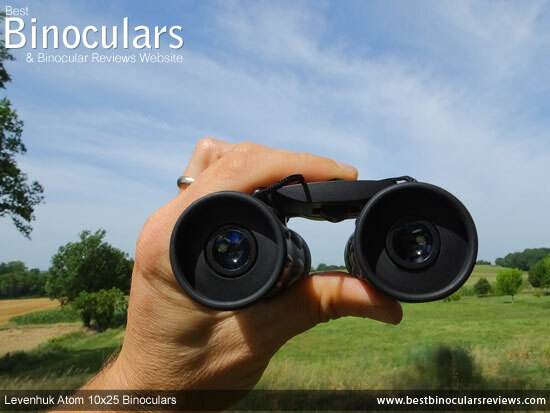 For more info on this and to compare IPD's with other bins, take a look at this article: Interpupillary Distance & Binoculars. As you can see from the three comparison photos above, the single pivoted Minox BD 7x28 binoculars, whilst still very compact are no match for the double pivoted Atom when they are folded down to their smallest size. 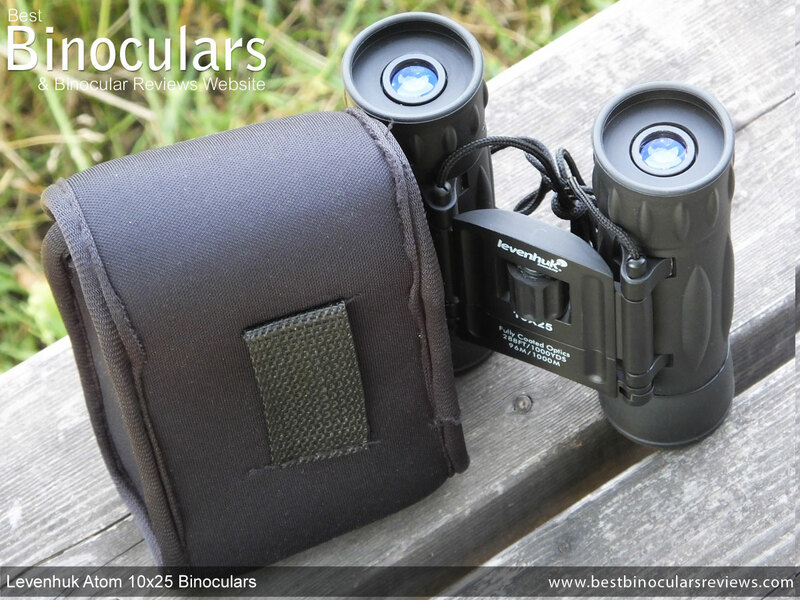 So apart from having a much wider IPD range, double pivot compacts like these make for the most compact binoculars and are indeed true pocket binoculars. I measured their weight as being 9ozs (255g), which even though they have a metal body, it ranks them up there with some of the lightest compacts out there. 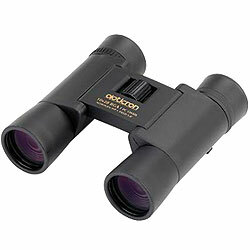 The optics on these Levenhuk Atom binoculars are make from BK-7 glass, which is fine and indeed is commonly used within this price bracket. However it is important to understand that whilst cheaper to produce, it is not deemed to be as good as BaK-4 glass when used in binoculars as it has a lower refractive index and therefore a higher critical angle, which in turn translates to a greater amount of peripheral light being "lost". What this ultimately means is that they usually transmit less and thus the image is not quite as bright and the view is often less sharp around the edges. The design of prism used in the Atom is known as a roof prism, which tend to enable a more overall compact shape than those that have porro prisms due to the fact that the light exits the prism in the same plane as it enters it. Not all lenses or prisms are created equal, even those that are made from the same glass as manufacturers will sometimes use ones which have had special coatings added to them that can increase their transmission levels and keep the wavelengths in phase for a brighter and better quality image. 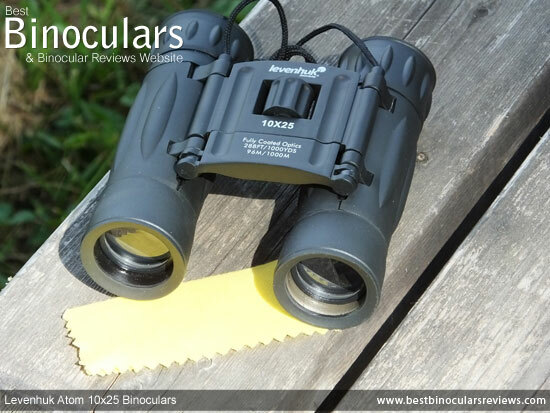 The problem is that the best of these coatings require a high level of expertise and can be very expensive to apply and so most cheap binoculars either use less of them, lower quality coatings or even none at all. The optics on the Levenhuk 10x25 Atom are "Fully Coated" - what this means is that all glass surfaces in the system have a single-layer, anti-reflection coating applied to them. As is demonstrated by the illustration on the right, this is much better than no coatings as less light is reflected away or in an unwanted direction, however the optical system will not transmit as much light as "Fully Multi-Coated" bins that have multiple layers of anti-reflection material added to them. Levenhuk do not mention the use of any coatings on the prisms, so I have to assume by the fact that they do not highlight it that they are not phase corrected and at best they probably have an aluminum mirror coating which costs much less to produce than the silver or dielectric coatings found on higher end binos, but has a much lower level of reflectivity. These 10x25 Levenhuk's have an angle of view of 5.7°, which translates to a view that is 288ft wide at a distance of 1000 yards (96m @ 1000m) - which as you can see from the table below is ok but not great for a 10x compact. If a wide FOV is important to you, you may wish to consider opting for something like the 8x21 Atom that has a FOV of 383ft or their Rainbow 8x25 that has an impressive FOV of 399ft. At 5.5 meters or 18.1 feet, it has to be said that their minimum focus distance is far from ideal if you even occasionally like to view objects from close range. At 11mm, the amount of eye-relief is also less than what many other 10x compacts offer. Should you wear glasses, this will probably be an important consideration to keep in mind. To describe and judge the image is always the most difficult part of writing my reviews as the differences are often minute and can often depend on the available light and what you are observing. So in an effort to remain as constant and as objective as I can possibly be, I have a number of control binoculars that I use for every review and which I compare against the instrument under review. 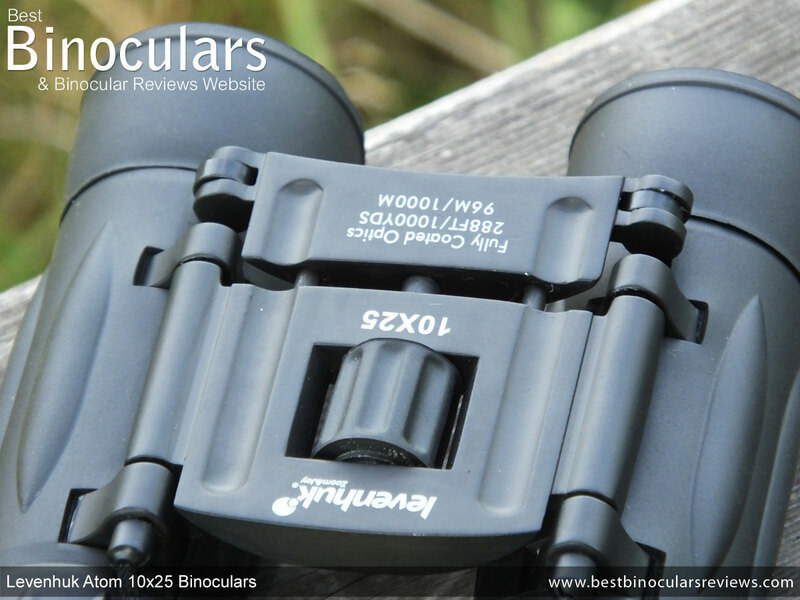 For this review I compared the Levenhuk Atom 10x25 binoculars against my mid range compacts (approx $200) that have a 10x26 configuration, fully multi-coated optics as well as higher specification glass and prism coatings. In general I thought that for the main, the reproduction of colors was good, looked natural and extremely close to that of the controls. At times and in certain lighting, I did think that the Levenhuk's displayed a small amount of yellowish tinting to the image, but it is so small so as to be almost insignificant and really nothing to be unduly troubled about. Contrast was good and whilst the image may be a fraction less vibrant than the higher specification optics I was comparing against, it was a long way from being described as washed out or dull as you still get a nice variance between light and dark areas. To my eyes there was no difference in brightness between these and the control compacts in good light. In bad light at the end of the day when the sun was going down, I could then notice a very slight improvement with my 10x26 controls. If you take into consideration that the controls have better and more coatings on better quality coatings, as well as slightly larger objective lenses and thus a bigger exit-pupil, this is understandable. I was surprised at how little color fringing there was. Even under extreme circumstances, for example looking at the edges of a telephone cable against a bright sky, the level was no more than what I often see on much more expensive optics. 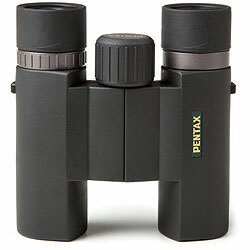 If you take everything like the coatings and glass quality into account and don't forget the price disparity, the differentiation in the final image between these Levenhuk Atom binoculars and that of higher end optics is to be expected, but it is also nowhere near is big as I had feared before using them. 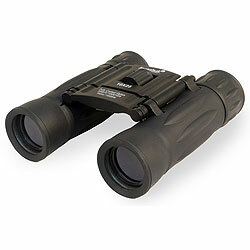 Really cheap binoculars can and often are very poor, but these are not and in my opinion are far better than most at this range and an equal to some higher up on the ladder. 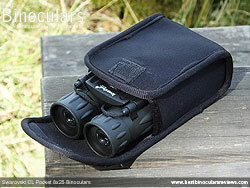 The carry pouch is similar to that which I see supplied with many compacts. Whilst not waterproof, it looks and feels like it has been made out of a Neoprene type of material and so will protect the instrument from light rain. The stitching on it also looks good and there is a sufficient amount of padding to guard against most "normal" mishaps, like the occasional drop to the ground. As it does not have it's own strap, you can either carry it in your hand with the bins inside and then easily pop it into your pocket whilst binning as it is so small, or thread the carry cord of the bins out through the sides and close the flap to carry it around your neck or shoulder. The rear face of the pouch also has a small belt loop and so you can also fix it to your hip should you wish. To gain access or secure the bins inside, you fold over the flap which is held closed with a small section of Velcro. This works well and means that access is very quick, however should you wish to keep the noise levels down so as not to give yourself away and frighten wildlife for example, you will have to remember to open it carefully. Once folded up, the bins fit snuggly within the pouch, but not so tight so as to make taking them in or out difficult. Note: No extra pockets are included either within or on the outside of the pouch. 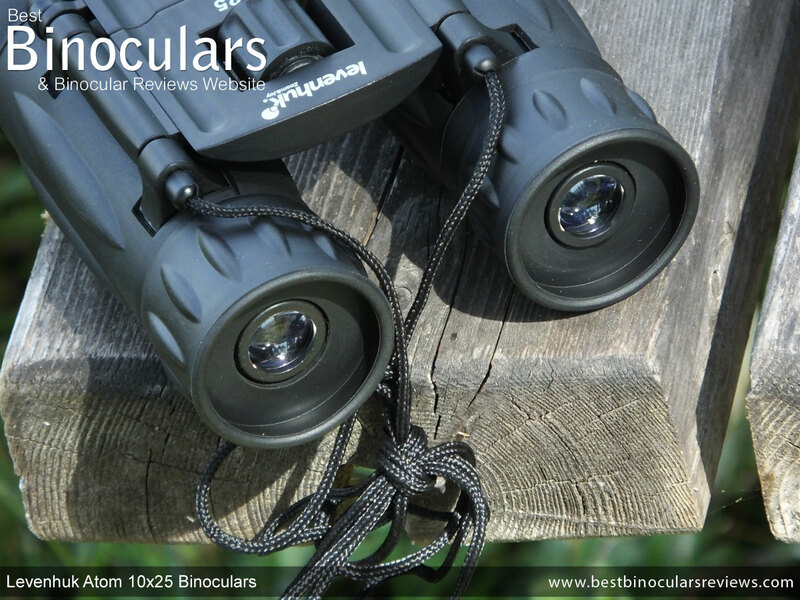 A difference worth noting between these an the vast majority of binos that I review is the neck strap. Most have a strap that is attached to the sides of the bin and which can be removed and adjusted for length should you wish. The better ones will also have padding and other features to enhance comfort as well as style. The Levenhuk Atom neck strap consists of a simple cord that is permanently attached to the bin, just above the eyecups. For such a light compact, it does not really bother me that it is not padded and because it is just a cord, it can easily be tucked away, or just left to hang down when you don't need it. So whilst it works well enough, it does lack any sort of sophistication which may be an issue to some people. As is the case with many compacts, these are not supplied lens covers as the small pouch that they come with is designed to protect the lenses. Good enough for cleaning the body and perhaps occasionally and very lightly wiping the lenses in an emergency, the basic cleaning cloth is better than none at all, which at this price level is quite often the case so this is good. However it is not as good as the micro-fiber ones that you get with some higher end optics or with a dedicated lens cleaning kit. The user manual comes in the form of a large sheet and covers the basics on how to operate and clean the bins as well as the specifications for all the bins within the Atom series. Also included is the excellent Levenhuk lifetime warranty and a quality control inspection card. 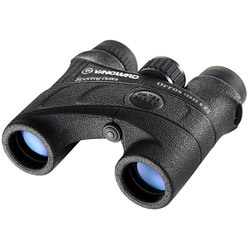 I think for a pair of optics at such a low price level, these were for me surprisingly good and in my opinion will be really hard to beat amongst their direct competitors at this cost level. 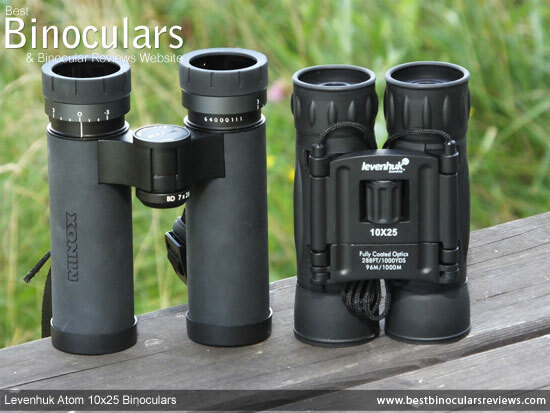 Thus if this is your absolute budget limit, then you could do far worse than investing in these and whilst I admit they don't come close to competing with higher specification optics, they are far better than having none at all. However if you are able to add a little more money to your pot and reach the next level, you get a whole lot of small improvements that when all added together do make for a better overall instrument and viewing experience. 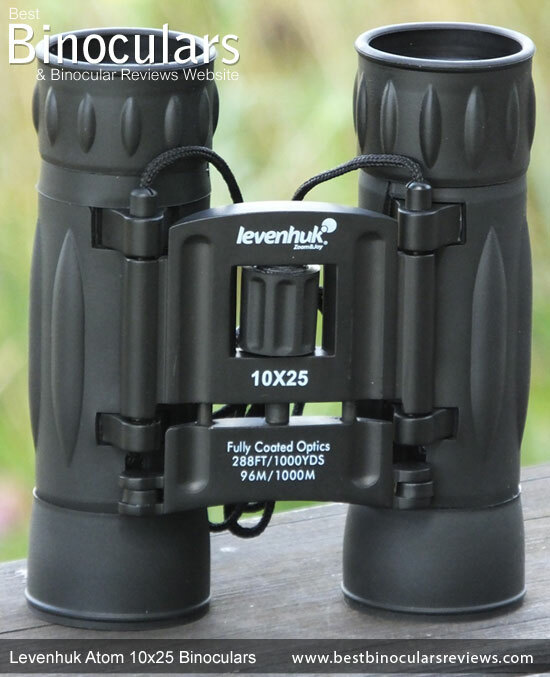 For example take Levenhuk's own Energy PLUS binos that I admit are about three times the cost of these, but still cost under $70 / £70 or even their Rainbow's that come in at approx. 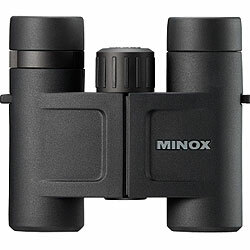 $60 / £55 and you get a fully fog and waterproof body, twist-up eyecups, better quality BaK-4 glass and fully multi-coated optics. Strong Points: For a roof prism compact, their very small twin hinge design is hard to beat, which will be really useful if you need to adjust for a particularly wide/narrow IPD setting and if a small carrying/folded size is important to you. I also like the feel of the metal body and the rubber armour, both in terms of comfort and in relation to their construction quality where these really do compare with far more expensive instruments. 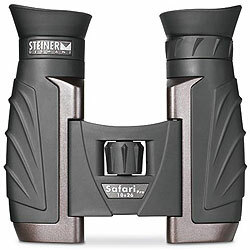 For example I have a pair of Steiner compacts that cost around �200 and from just looking and holding them, most people would really not be able identify the more expensive pair with confidence. Weak points? The minimal eye-relief combined with the eyecups that can be folded down will be a real problem to those who wear glasses when using their bins. The relatively long minimum close focus distance means that I would not recommend anyone getting these that likes viewing things like butterflies, flowers or even some birds from closer ranges. 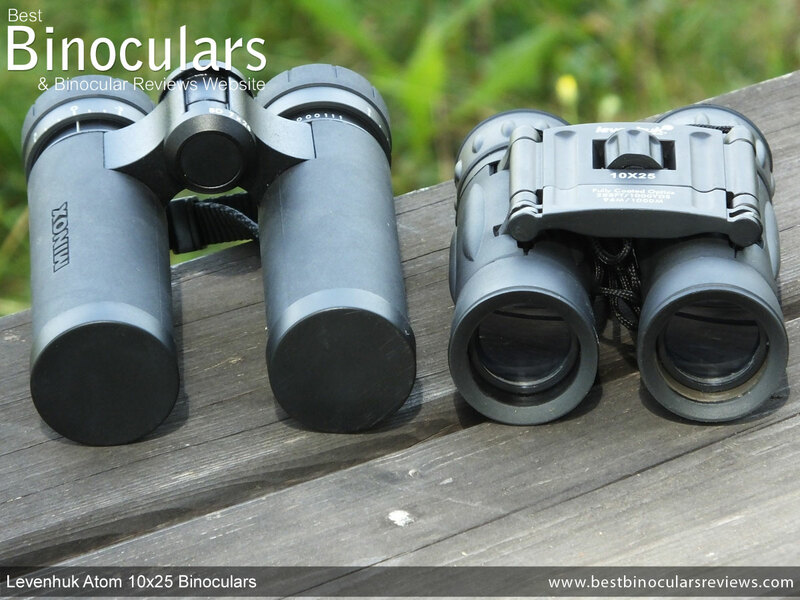 As is the case with most cheap binoculars and especially with cheap compacts, the extras like the carry case, neck strap and cleaning cloth are really basic. Still to be fair to Levenhuk, the pouch and carry cord work well enough, they just lack the finesse that you get when you spend more on your optics.